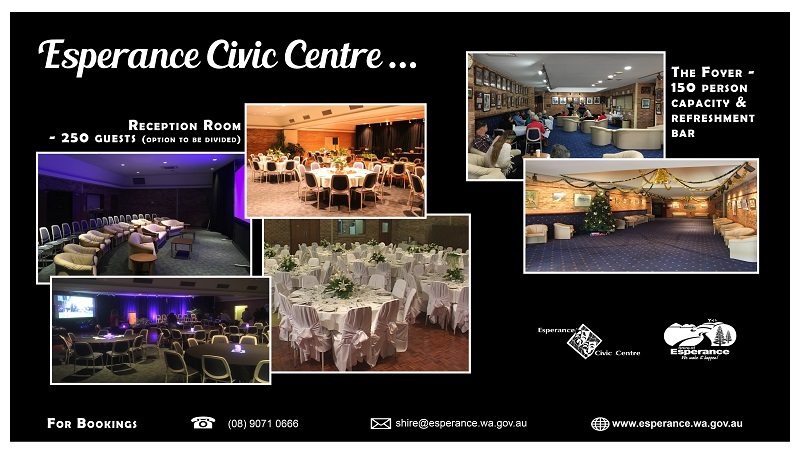 As the premier entertainment and multi-function complex for Esperance the Civic Centre continues to be a valuable asset for the Esperance community. To purchase tickets for a show please visit the Shire Administration Office, Esperance Public Library, Esperance Visitor Centre or online. Give a gift where your loved ones can dance along to some tunes, laugh until they cry, or be swept away in the magic of a great story. Gift Vouchers are now available and can be purchased in person at the Shire Administration Office or over the phone. 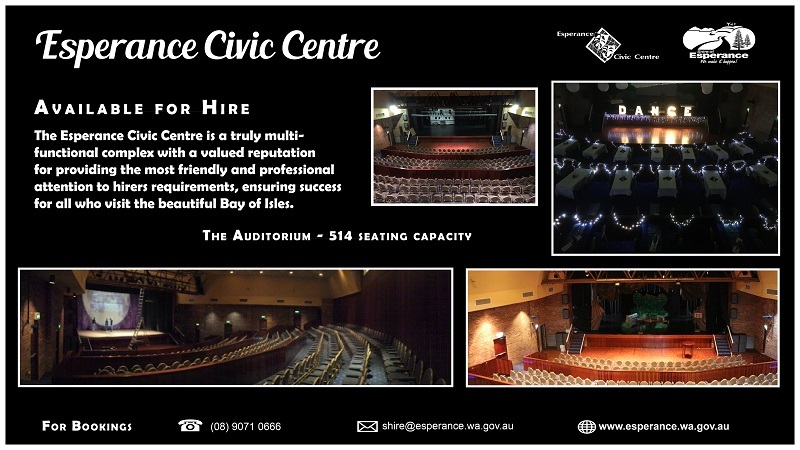 The Volunteers of the Esperance Civic Centre are passionate supporters of the performing arts in Esperance and regularly assist with ushering, front of house management, ticket selling and bar work. Talk to us next time you are at the Civic Centre about joining the Volunteers of the Civic Centre.